WW2 Malaya One Cent bank notes – 1941. 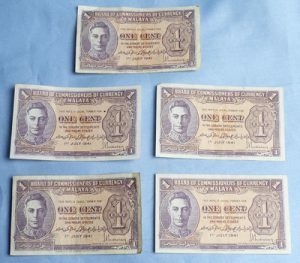 Set of five original WW2 Malaya One Cent bank notes. 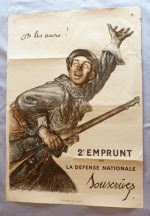 Dated to 1941. In good condition. Dimensions of each banknote is 3.5 inches x 2 inches.